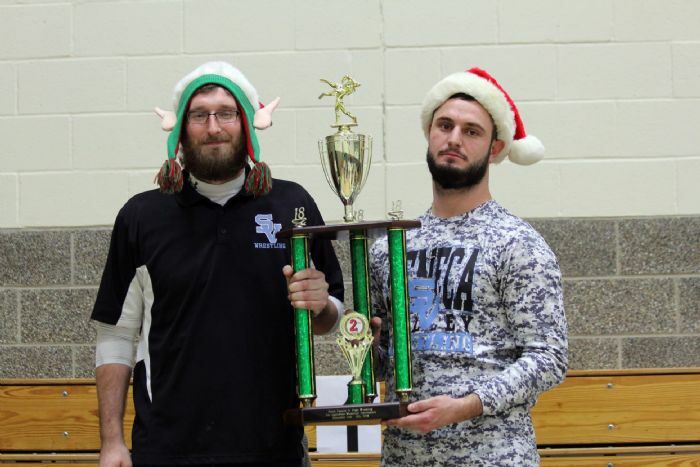 Welcome to Seneca Valley Wrestling! Alejandro finishes as PA State Champ and Dylan as State Runner-up!!! HS Results: Four Varsity wrestlers competed in Hershey this weekend at the PIAA AAA State Wrestling Tournament; Jason Geyer, Antonio Amelio, Dylan Chappell, and Alejandro Herrera-Rondon. Congratulations to our two PA State Finalists, Alejandro and Dylan. Dylan lost a tough match in the finals, earning State Runner-up honors. Alejandro won his Championship match, becoming a 2x PA State Champ in two chances. Congratulations to all of the wrestlers who competed! Youth Results: Youth wrestlers competed in the Area VII State Qualifier at NA on Saturday. The Boy’s brackets had the top 2 qualify for States while the Girl’s brackets only send the Champion to the State Tournament. Congratulations to our 2019 State Qualifiers, all earning 2nd place; Jack Sherman, Joey Felitsky, Adam Wise, and Branson May. They will compete at the Peterson Events Center this coming Saturday and Sunday in the PJW Youth State Wrestling Tournament. Also placing at Areas for SV but not qualifying to states were Brooks Beres 3rd, Cam Grupp 3rd, and Mimi Skowronski 2nd. Placing in Area IV were Zach Hill 3rd and Troy Gorajewski 4th. 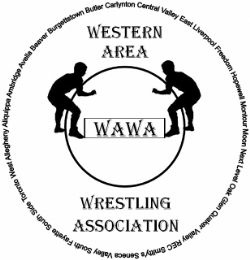 There was a mix of SV wrestlers from all levels who competed in the MAWA District Tournament on Sunday at NA. The top 4 in each weight class qualify for the Regional Tournament in York in April. Place winners were Zack Ross (1st). Bryce Bereksazi (1st), Adam Wise (1st), Colton Wells (3rd), Teagan Leighty (3rd), Izzy Leighty (4th), Caden Leighty (2nd), Sebastian Rothrock (3rd), Grey Rothrock (3rd), Hunter Swedish (1st), Joe Cornelly (3rd), Jackson Habel (1st), Dominic Mignanelli (2nd), Timmy Johnson (3rd), Gabe Johnson (2nd), Cam Grupp (3rd), Cooper Beres (4th), Jack Tofanelli (3rd), Connor Smith (2nd), Riley Smith (2nd), Nick Funovits (2nd), Natalie Tofanelli (1st). The SV wrestlers had another awesome weekend on the mats! HS Results: The Varsity team had 10 wrestlers competing at the WPIAL Championships this weekend with a birth to state on the line. The team finished tied for 2nd place with Hempfield, 5.5 points behind the leader Kiski. The Raiders also came away with 4 PIAA AAA State Qualifiers that will be competing in Hershey March 7-9. The team was led by the trio of Sophomore WPIAL Champions Dylan Chappell, Alejandro Herrera-Rondon, and Antonio Amelio. Also qualifying for states was Jason Geyer with a 3rd place finish. SV had two wrestlers fall only one match short of qualifying, Drew Vlasnik and Nick Montalbano. Great job, Raiders, and keep it up this coming weekend! 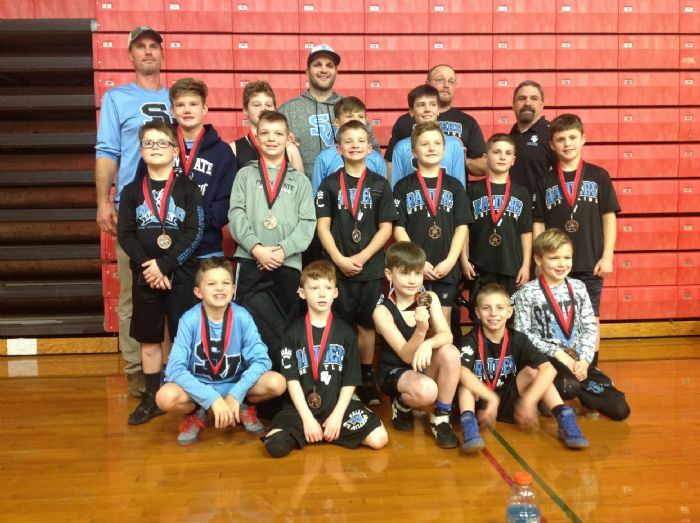 JH Results: The Junior High team had 10 wrestlers competing in the PA Junior High State Wrestling Tournament in Johnstown this weekend. All of the boys wrestled well with just about everyone winning at least one match. The Raiders managed to have 3 wrestlers make it to the second day of wrestlers and all 3 earned their way on the podium. State Placers for SV were Tyler Yurich (187lbs) 5th place, Tyler Chappell (82lbs) 6th place, and Connor Smith (77lbs) 8th place. Great job, Raiders! Youth Results: Youth wrestlers were in action all over the state this weekend. Results are below. HS Results: The SV Varsity team competed in the WPIAL Section 3 Tournament at Fox Chapel on Saturday, qualifying 10 to the WPIAL Tournament in Canon Mac this coming weekend since the Top 5 in each weight class advanced on from Sections. Place Winners were Dylan Chappell (1st), Alejandro Herrera-Rondon (1st), Antonio Amelio (1st), Nick Montalbano (1st), Patrick Johnson (2nd), Drew Vlasnik (2nd), Jason Geyer (2nd), Conor Hayes (5th), Liam Volk-klos (5th), Ronan O’Shea (5th), Nick Funovits (6th). JH Results: The JH Team began competing in the Area VII Junior High State Qualifier on Sunday at West Allegheny until the power went out causing us to resume wrestling Monday at 6pm. At this point, out of the 17 Raider wrestlers who showed up to compete, 11 are in the semi-finals and 6 are still alive in the wrestle-backs. The Top 3 in each weight class qualifies to the Junior High State Tournament on Saturday and Sunday of this week. Youth Results: The Youth team competed in the WAWA League Open and Novice Tournaments this weekend at CCBC. The Open wrestlers brought home a 2nd Place finish in the WAWA League having 17 kids place. Place winners in the Open were Riley Smith (1st), Brooks Beres (1st), Joey Felitsky (1st), Brody Pirt (1st), Zach Hill (1st), Zack Ross (1st), Jack Sherman (2nd), Landon Davis (2nd), Branson May (3rd), Hayden Regal (3rd), Troy Gorajewski (3rd), Jimmy Bidoli (4th), Colton Wells (4th), Noah Rieger (5th), Gabe Johnson (6th), Bryce Bereksazi (6th), and Quinlan Carney (6th). SV had 20 wrestlers place in the WAWA Novice Tournament. The place winners in the Novice were Jackson Habel (1st), Cam Grupp (1st), Khalil Roach (1st), Jaxon Stevens (2nd), Mason Purvis (2nd), Sebastian Rothrock (2nd), Jackson Matthews (2nd), Aydin Shipley (2nd), Nicholas Johns (2nd), Michael Kravec (2nd), Ryland Kelly (3rd), Liam Shipley (3rd), Ezekiel Hardy (3rd), Landon Hartzell (4th), Nico Guzzo (4th), Mimi Skowronski (4th), Aaron Hardy (4th), Adrian Torres (4th), Wyatt Levere (4th), Jake Phillips (4th). Congratulations to all of the Raider wrestlers in action this weekend. Below are results and upcoming matches for all 3 levels. HS Results: The SV Varsity team was off this weekend, recovering from the PIAA Team State Tournament. Some of the JV wrestlers were in action at Fox Chapel and all wrestled well. JH Results: The JH Team bounced back from a disappointing 27-57 loss to Canon-Mac on Tuesday to finish up their regular season at the District 7 Southwest Regional JH WPIAL Tournament in Norwin on Friday and Saturday. Even though they were missing wrestlers in the two heaviest weight classes, the team still managed to place 4th out of 55 teams. They were only 1 point behind Connellsville for 3rd. The top 2 teams were Canon McMillan and Latrobe. The team saw many firsts this weekend. They had their highest finish at this tournament, most finalists (3), and most medalists (8). They bought 12 of 16 kids back for Day 2. They had 9 wrestlers make the quarterfinals, placed 8, and had 2 others make it to within one win of a top 8 finish. Place winners for the Raiders were Connor Smith (2nd), Tyler Chappell (3rd), Max Jackman (2nd), Evan Vetter (6th), Marshall Adamson (3rd), TJ Border (3rd), Caden Matthews (2nd), and Tyler Yurich (5th). The team has accomplished a ton this year, bringing home team trophies at all 4 tournaments they have competed in (South Fayette 2nd, North Allegheny 3rd, Waynesburg 2nd, and District 7 4th). The future is extremely bright! Those pursuing a Junior High State Championship will be in action this Sunday Feb 24th at West Allegheny at the Area 7 State Qualifier. The top 3 in each weight class will qualify to the JH State Tournament in Johnstown the following weekend. HS Results: The High School Team competed in the PIAA AAA Team State Tournament this weekend going 1-2. The injury bug finally caught up with them. In the round of 16, SV defeated Mifflin County 35-24. In the Quarterfinals they lost to eventual champion Bethlehem Catholic 52-11. They then lost in their first match in the consolation round to Spring Ford 32-28. JH Results: No competitions last week. Youth Results: Several youth wrestlers competed Saturday afternoon in a dual against General McLane before the Edinboro vs Oklahoma match. The Raider wrestlers competed extremely well, going 7-3 in the matchups. Seneca Valley Raiders HS Wrestling Team headed to Hershey for the 2nd Year in a row to compete at the PIAA AAA Team State Tournament!!! 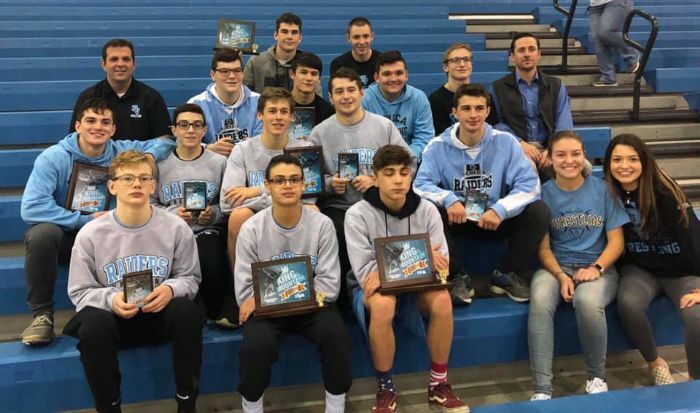 HS Results: This week the HS Wrestling Team finished as Team WPIAL Runners-Up earning a birth to Hershey to compete at the PA AAA Team State Tournament. In the first two rounds of the WPIAL tournament Wednesday night, the Raiders defeated Trinity 54-24 and Norwin 46-22 to earn a spot Saturday afternoon in the Semis at Norwin. After only wrestling the first 10 matches in the semi-finals against Waynesburg, the Raiders locked in a victory so they forfeited the last 4 matches to win 39-36. In the WPIAL Team Championship, the Raiders fell to #1 Ranked Kiski 49-17. The 3rd place team to qualify to States in the WPIAL was Canon-Mac. The Raiders begin action in Hershey on Thursday against Mifflin County, the Champion of District VI. If they win that, they will most likely take on Bethlehem Catholic. The tournament runs Thursday through Saturday and the Raiders are hoping to improve on their 2018 top 6 finish. 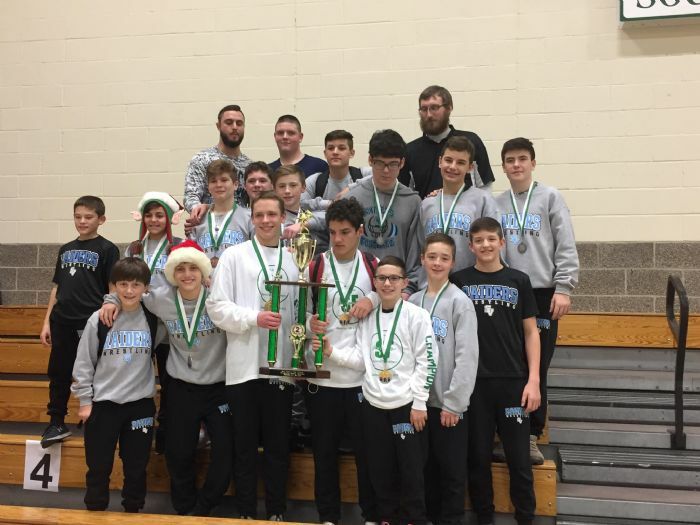 JH Results: The Junior High competed at the 26 team Waynesburg Tournament finished as Runners-Up to Connellsville. 13 of 18 wrestlers placed in the top 6. Medalists were Tyler Chappell (2nd), Max Jackman (2nd), Marshall Adamson (2nd), Caden Matthews (2nd), Tyler Yurich (2nd), Connor Smith (3rd), Aidan Hayes (3rd), Jake Eubanks (4th), Aiden Leiendecker (4th), TJ Border (4th), Evan Vetter (5th), Logan Gagliardi (5th), and Chris Helmsen (5th). The JH team is next in action Feb 13th vs Canon-Mac, Feb 15/16 in Norwin at the District 7 Championships, and Feb 24th at West Allegheny for the Area VII State Qualifier. The Youth Practice on Wednesday is changing to 5:30-6:30pm ALL LIVE. The first whistle will blow at 5:30pm so please don’t be late. This is so we can all go watch the HS team in their Team WPIAL Tournament at the High School. The HS first wrestle the winner of Trinity/West Mifflin at 6pm, and then if they win, around 7:15pm they will wrestle the winner of Norwin/Butler in the WPIAL Quarterfinals. The team is calling for a BLUE OUT for this and throughout the playoffs. HS Results: In Team Section Tournament action Wednesday night, the SV Varsity team beat Hampton 62-6. They then beat North Allegheny 56-18 to be back-to-back Section Champions. This helped them earn the 2nd Seed in the WPIAL Team Tournament which begins Monday. The bracket can be found at http://www.papowerwrestling.com/dual-team-brackets/. The Varsity team competed in the Brooke, WV Tournament this weekend. With only 11 of 14 starters, they finished in 2nd place ahead of nationally ranked Erie Cathedral Prep and behind Brecksville. Place winners were Dylan Chappell (1st), Hunter Swedish (7th), Alejandro Herrera-Rondon (1st), Chanz Shearer (2nd), Jason Geyer (1st), Drew Vlasnik (3rd), Antonio Amelio (3rd), Liam Volk-Klos (5th), Connor Hayes (5th), Patrick Johnson (4th), and Davin Beahm (7th). JH Results: The Junior High team beat Fox Chapel 88-15 Wednesday night. They then competed in the very tough North Allegheny Tournament on Saturday and earned a hard fought 3rd place finish, finishing behind Latrobe and NA. Place winners for SV were Tyler Chappell (1st), Marshall Adamson (1st), Max Jackman (2nd), Evan Vetter (2nd), Connor Smith (5th), Tyler Yurich (5th), and Caden Matthews (6th). Youth Results: The kids wrestled great at REC on Saturday. Wed Jan 30: SV High School vs West Mifflin/Trinity @ 6pm at SVHS followed by Butler/Norwin at 7:15pm in the WPIAL Team Quarterfinals.